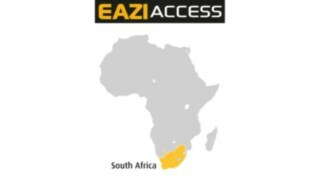 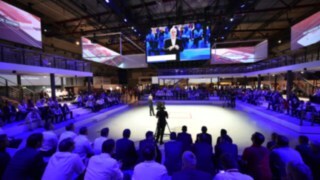 The current press information can be found on this page. 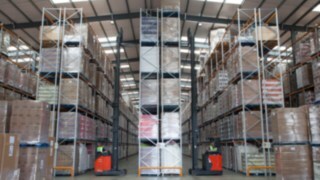 You can sort the press releases by subject areas, allowing you to find what you are looking for quicker. 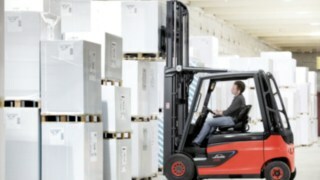 General information about Linde Material Handling and the management can be found on our company pages. 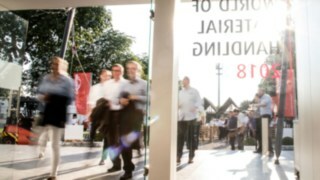 If you have further questions, we would be happy for you to contact us in person. 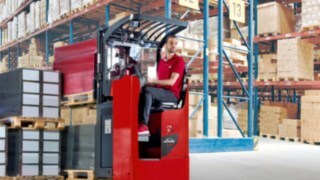 Linde expands its pallet truck and stacker portfolio. 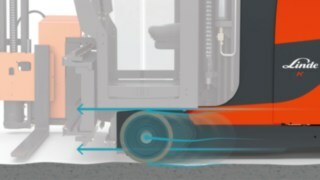 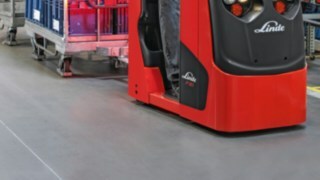 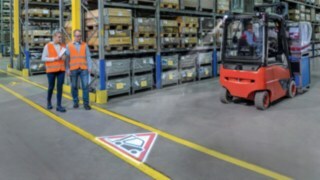 Linde presents innovation to compensate for uneven surfaces. 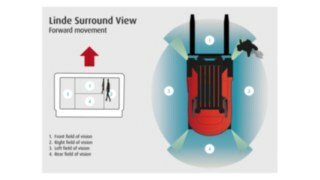 Linde presents new Surround View camera system. 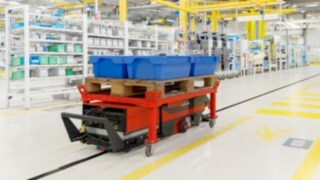 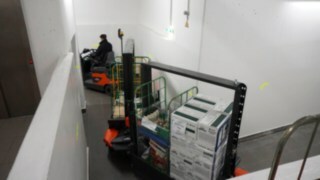 Linde Material Handling presents automated guided cart for production logistics. 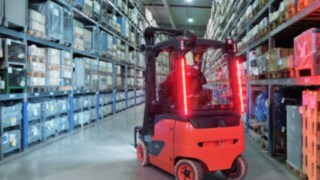 Linde Material Handling expands its work lights portfolio. 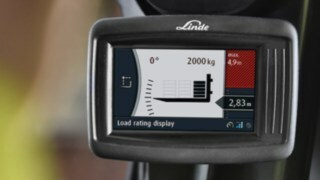 Linde Factory Train supplies mountain restaurant at an altitude of 2,283 meters. 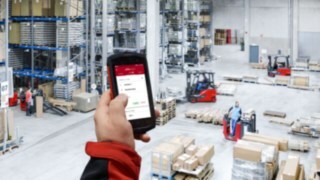 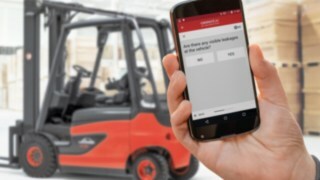 Linde Material Handling presents fleet job management app. 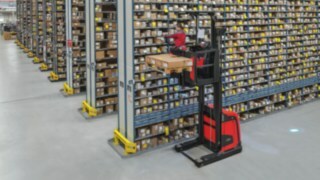 Linde R-MATIC stores goods independently at lifting heights of up to ten meters. 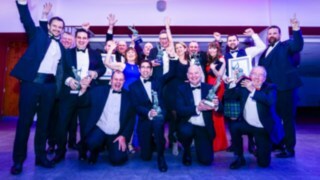 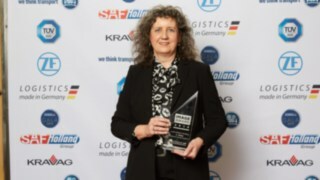 Linde Material Handling has won the award for Ergonomics, along with winner and runner up for the Apprentice of the Year at this year’s FLTA awards. 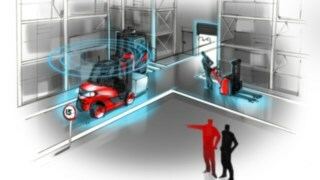 Linde Safety Guard assistance system prevents accidents. 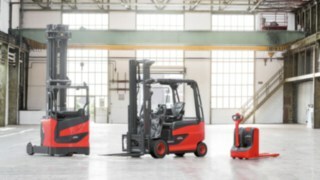 New driver's seat and stand-on platform trucks from Linde Material Handling offer enhanced comfort, safety, and performance. 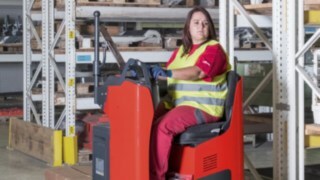 When leading manufacturer of building materials, Ibstock Building Products, required a solution to guard against accidents and improve the amount of warning to their operators, they turned to materials handling manufacturer, Linde Material Handling for help. 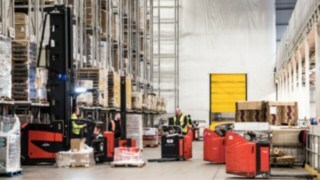 Lifting fragile loads of wine to just over 10 metres demands stable, precise equipment which is why fast growing third party logistics company Johnston Logistics UK, opted for Linde Material Handling’s Dynamic Mast Control. 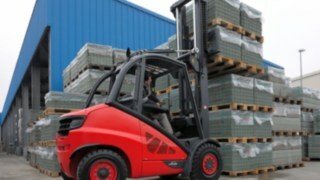 Thirty-two tons of freight need to be loaded as quickly as possible in order to make the start of the Formula 1 season in Australia. 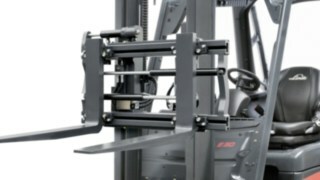 Linde presents new fork positioner for optimum visibility. 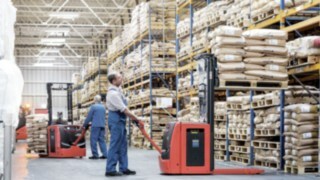 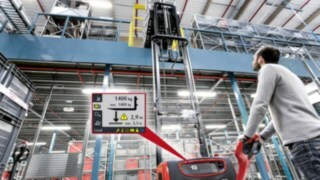 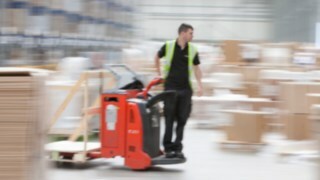 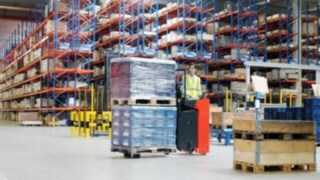 Linde customers can now perform the majority of logistics tasks in the warehouse using lithium-ion technology. 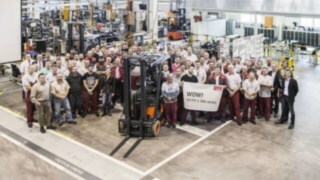 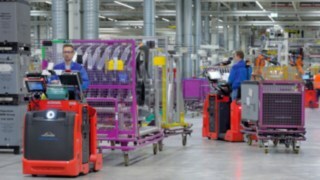 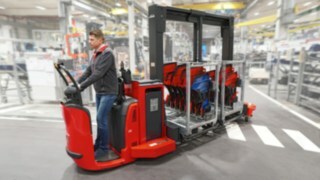 The 111,111th electric forklift truck from the 386 series leaves the assembly line at Linde Material Handling. 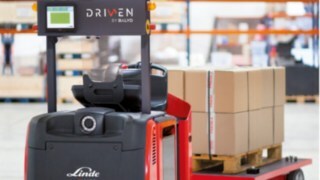 Linde Material Handling launches new driver assistance system for pallet stackers. 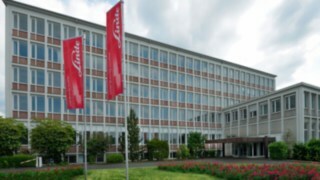 Linde MH tailors individual solutions to 200,000 customer requirements. 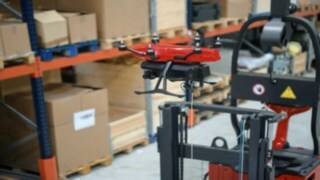 Linde Material Handling showcases stocktaking drone “Flybox”. 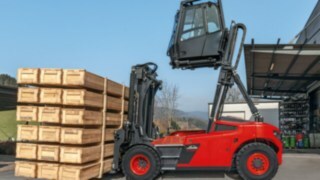 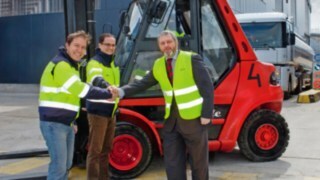 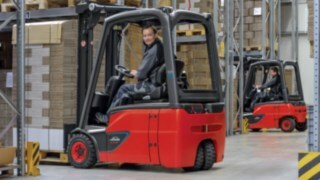 Linde Material Handling launches new stand-on trucks. 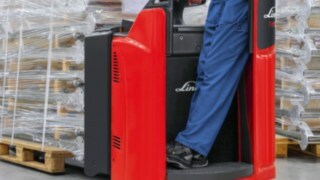 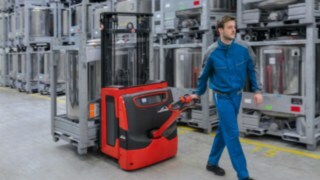 Linde MH uses lithium-ion technology in new double stacker and pallet truck with ergonomic lift. 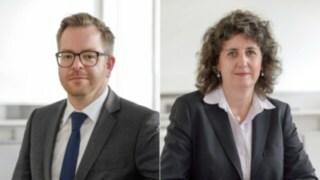 Matthias Kluckert and Monika Laurent-Junge strengthen Communications Team. 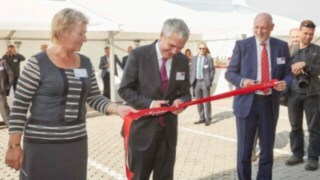 Linde MH opens new corporate headquarters at Carl-von-Linde Platz in Aschaffenburg. 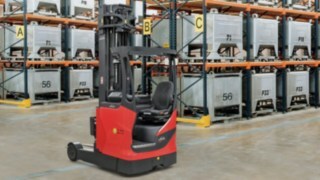 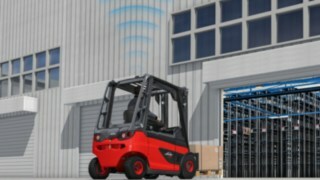 Linde Material Handling’s LSP driver assistance system now also available for IC forklift models. 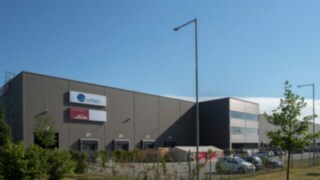 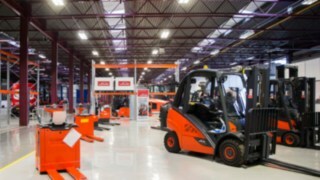 Linde Material Handling opens new spare parts distribution centre in the Czech Republic. 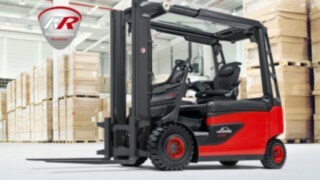 Linde Material Handling maximises field of view and safety with Linde E20R-E35R forklift trucks. 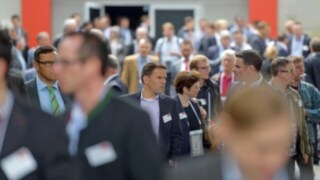 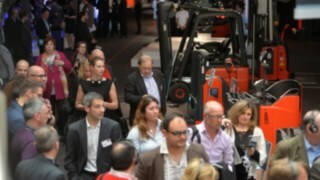 The second "World of Material Handling" ended with a new record number of visitors. 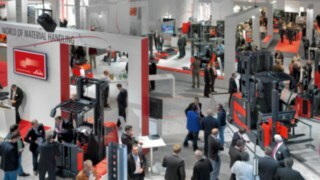 Linde Material Handling presents automation as a focal point at WoMH. 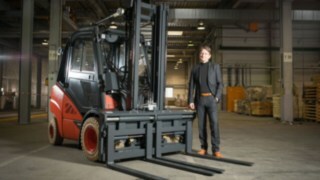 Linde Material Handling presents lithium-ion and fuel cell technology at WoMH. 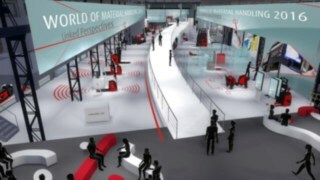 At WoMH, Linde Material Handling demonstrates the opportunities created by digital networking. 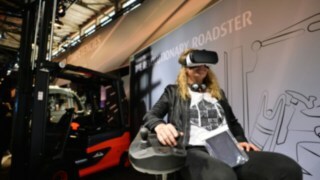 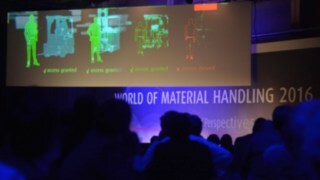 Linde Material Handling uses 3D hologram to showcase the future of logistics at WoMH. 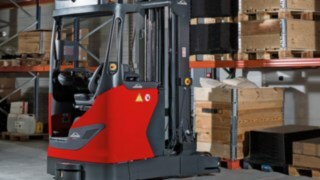 Linde Material Handling presents new variants, options and customer solutions. 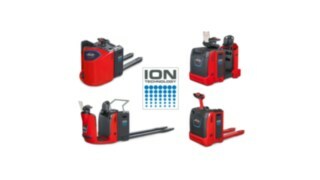 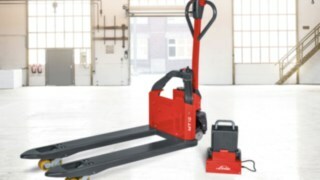 Linde Material Handling optimises platform pallet trucks T 20/T 25 SP. 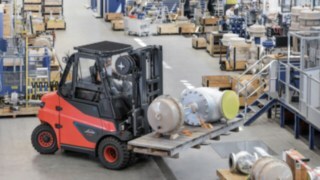 Customers order over 100,000 industrial trucks from Linde Material Handling for the first time in 2015. 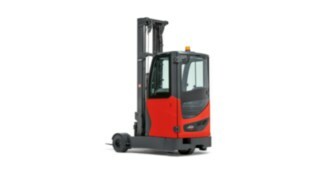 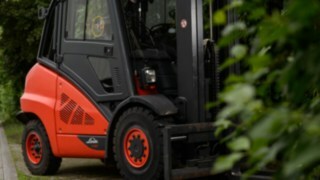 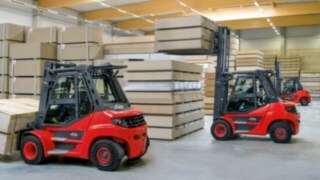 Diesel and LPG forklifts Linde H50-H80 complete EVO series. 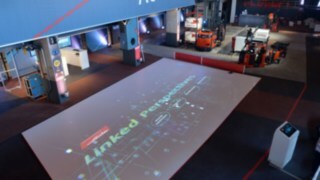 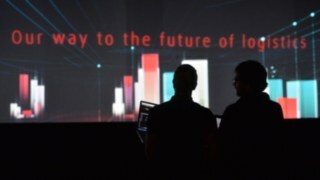 Linde Material Handling’s customer event creates a link between the present and the future. 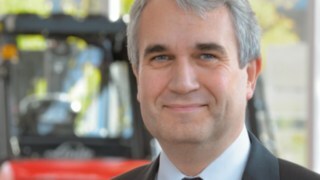 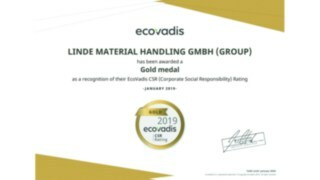 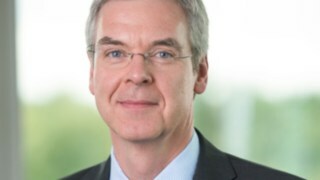 Linde Material Handling publishes its first sustainability report. 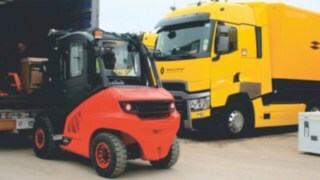 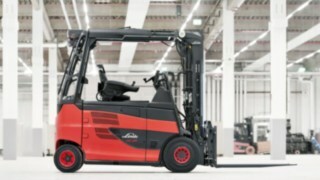 Linde MH expands its range of industrial trucks using lithium-ion technology. 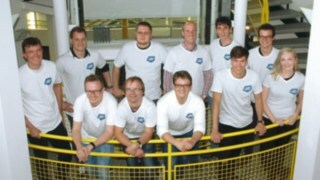 Research report presents results of H2IntraDrive project. 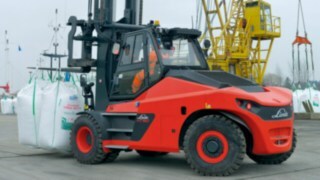 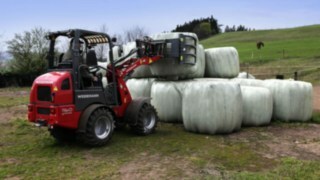 Linde Material Handling expands its range of tractors with a two-tonne towing capacity version. 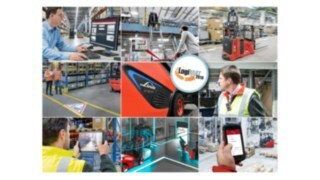 Linde Material Handling establishes ‘Hardware in the Loop’ software simulation as test standard for electronic control and assistance systems. 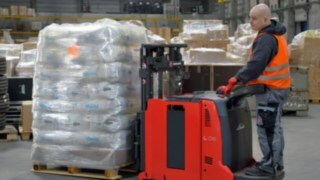 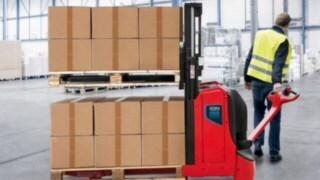 Linde Material Handling records significant increase in tailor-made solutions. 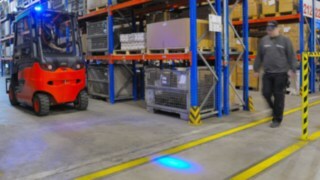 Linde Material Handling launches first “driven by Balyo” robotic industrial trucks. 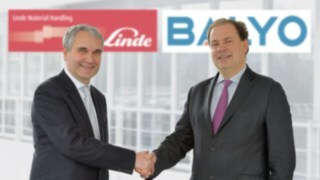 Linde Material Handling and Balyo sign an exclusive cooperation agreement to jointly develop innovative robotic solutions. 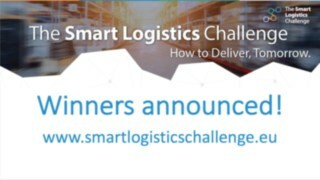 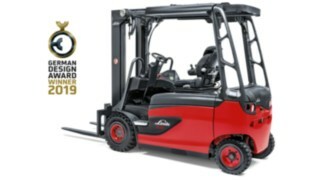 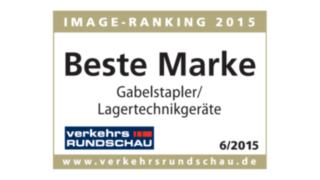 Linde Material Handling emerges as winner in the “Forklift Trucks and Warehouse Handling Equipment” category. 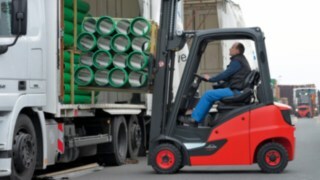 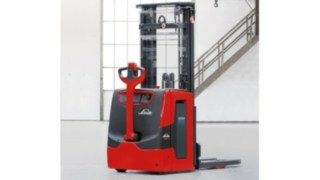 Linde Material Handling presents its latest series of reach trucks with super-elastic tyres. 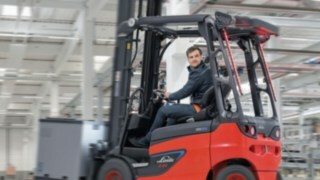 SPS IPC Drives 2014: Linde Material Handling presents the new Weidemann eHoftrac® with drive technology from Linde electric forklift trucks.